I sincerely love listening to podcasts. Like every other American, Serial served as my gateway drug and today podcasting is a full-blown addiction. I listen to it all – talks on creativity, interviews with celebrities, fiction, and even podcasts on parenting. Podcasts prove the power of storytelling – I will listen in rapture to just about anything if the podcast is well done. Podcasts work for me because I’m constantly working, and I rarely have the time or energy to sit down and focus all my attention on a TV show. So I listen to podcasts while I’m driving, at working, at the gym, or while I get ready for the day. 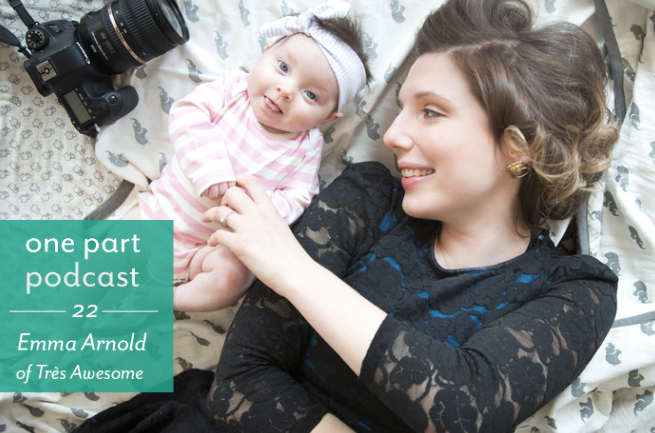 Podcasts are the bomb for multi-tasking ladies and mammas, and luckily there are some great podcasts for and by creative women. Below, I rounded up some of my favorites. 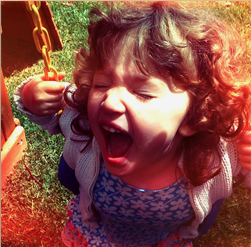 Most are for parents specifically, some are geared toward momprenuers, and some are just for fun. 1. 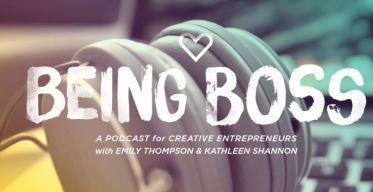 Being Boss – Web designer and developer Emily Thompson and branding guru Kathleen Shannon come together in this podcast to talk about business, entrepreneurship, and how to be a total boss. Bonus? They’re both working mamas with lots of opinions and experiences around everything from homeschooling to home birth. They often interview other working creative moms, leaving listeners inspired to have the work + life balance they’ve always dreamed of. P.S. – Sign up for the Being Boss newsletter for exclusive content right to your inbox. Jessica is an adoptive mama, and talks to other mothers about the issues, decisions, and culture around motherhood today. 4. For Crying Out Loud – Lynette Carolla and Stefanie Wilder-Taylor come together to talk for an hour about life as wives and moms. They’re a little wild and uncensored, and listening will make you feel like you’re having a glass of wine with your girlfriends. 5. 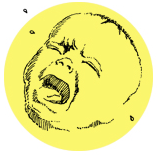 Here’s The Thing – Okay, this one isn’t by a mom and not necessarily for moms specifically, but hear me out. Alec Baldwin sits down and interviews some of my favorite artists like Lena Dunham, Kristen Wiig, Julie Andrews, and Sarah Jessica Parker to learn about what relationships, influences, and experiences drive their work. How often do you listen to podcasts? What are some of your favorites?